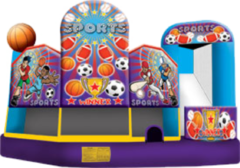 If you love fun you will love this hyped up Sports Combo Bouncer. 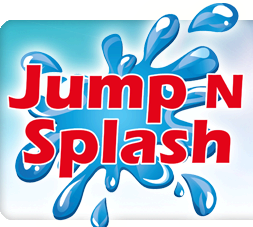 Sports is the theme here in this action packed combo slide with loads of fun, and lots of activities. Play with the major leagues, slide to home down our 6ft slide. Run a touch down through one of the four pop up obstacles, and shoot hoops with friends into the built in basketball goal.